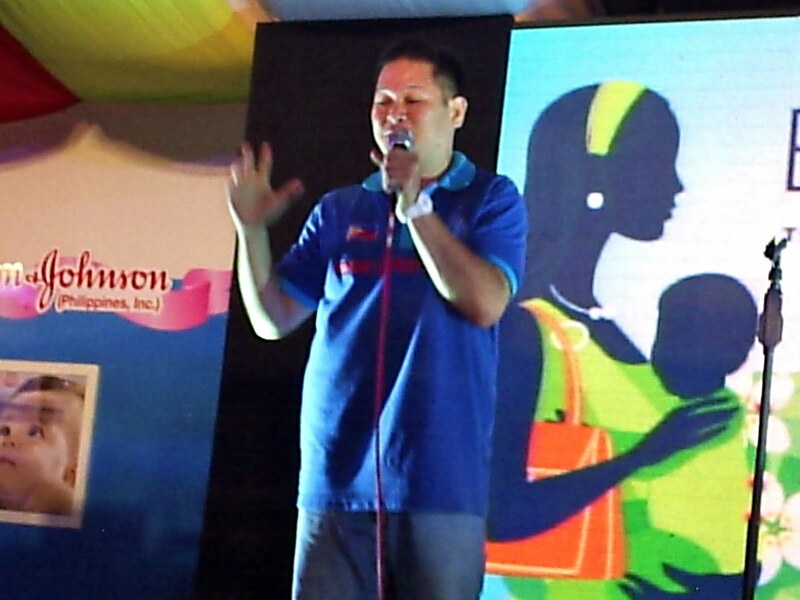 Mr. Paolo Trinidad explains the benefits of Laughter Yoga to the crowd. I’ve encountered Pinoy Laughter Yoga before by reading them on the pages of a broadsheet. But I’ve never even imagined myself doing such. I recently had the opportunity to experience Pinoy Laughter Yoga first-hand and meet the founder himself, Mr. Paolo Trinidad. “Laughter Yoga is a revolutionary idea. You simulate laughter and combine it with traditional yoga breathing and postures. The idea is to laugh for no reason, to fake being joyful until you make it,” said Trinidad who trained under Laughter Yoga founder Dr. Madan Kataria in Bangladore, India. Laughter Yoga was founded by physician Dr. Kataria in India. He discovered while doing a research that our body cannot differentiate between pretend and genuine laughter. But both produced the same happy chemistry that is beneficial to our well-being. Among Laughter Yoga’s benefits are uplifting mood, toned body (it helps the body heal itself), better memory (Trinidad says his has improved since practicing), increased energy, strengthened immune system. 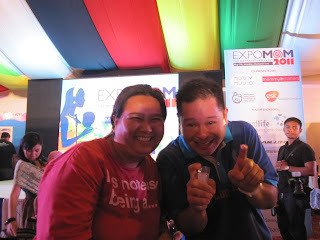 The author with Mr. Paolo Trinidad, Pinoy Laughter Yoga founder. At first, it might seem weird and kind of bizarre trying to laugh for no apparent reason. Others who would see you might actually think you're losing your mind or they might think you've gone totally berserk! That's why it is important to close the door and face the mirror when you're doing laughter yoga alone. But I'd like to think it's more fun to do it in a huge group, especially with friends like I did. Eventually, you'll lose all your inhibitions and will just go with the flow. Pretty soon, you'll feel lighter and happier. Mr. Trinidad was even invited to do this type of yoga for the upcoming Biggest Loser Philippine edition on Abs-Cbn. According to him, if you do the breathing exercises everyday for like 30 minutes, you will lose a lot of weight and would make your memory sharp. So, if you want to get fit, healthy and happy...I would strongly suggest that you try Pinoy Laughter Yoga. For more details on Pinoy Laughter Yoga, you may contact Mr. Paolo Martin Trinidad, certified laughter yoga professor at his mobile number 0926-6493779 or you may also email him at p_23_mit@yahoo.com or check out his Facebook account: Paolo Martin Trinidad. Keep laughing people, it's good for your body, brains and your heart!